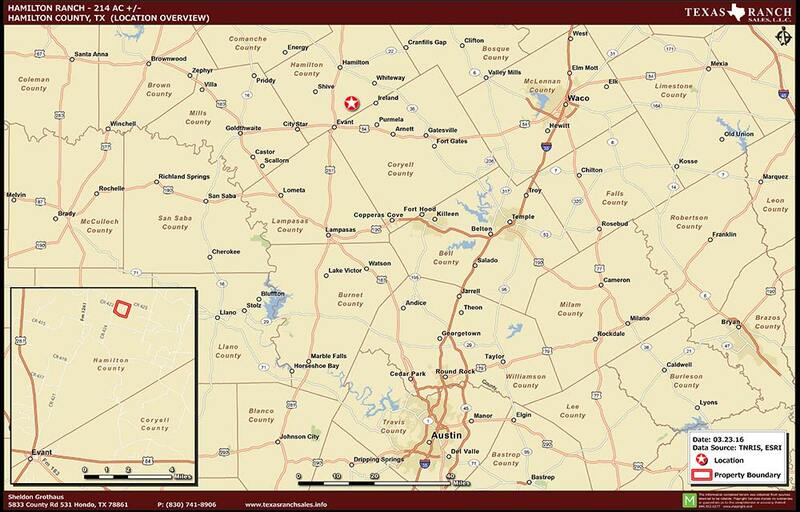 Location: Located approximately 10 miles southeast of Hamilton, TX. in Hamilton County. 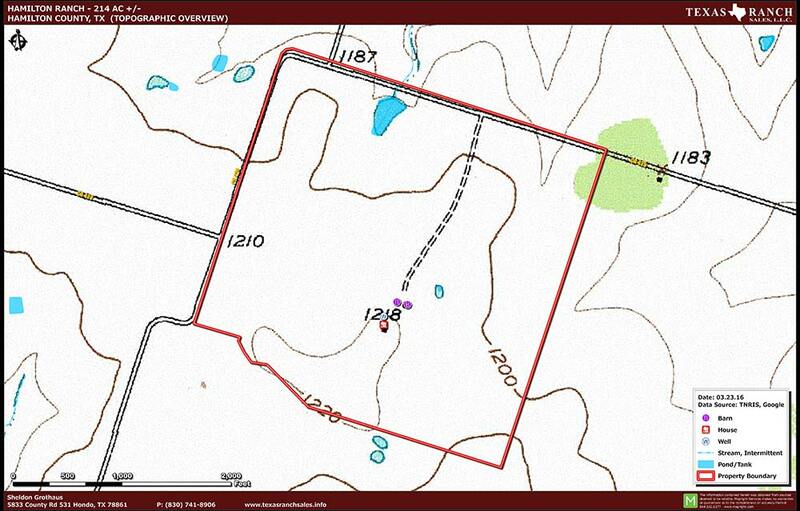 Description:This 214+/- acre tract of private recreational land for sale in Hamilton County is awe-inspiring. The ranch is comprised of relatively flat terrain with a 50+ acres of improved coastal pasture and another field of about 35 acres which is fertile, tillable farmland. 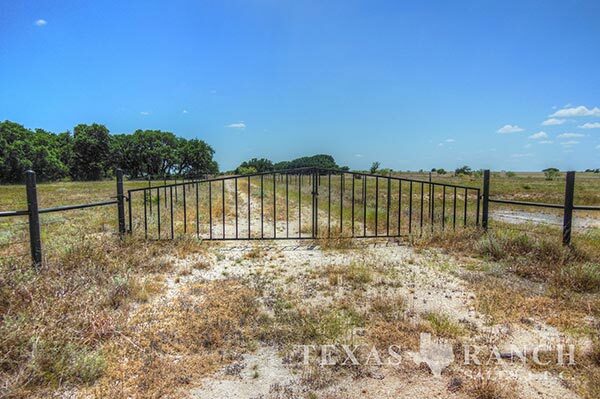 The balance of the acreage is native pastureland with large oaks scattered throughout the ranch. An older ranch house, located on a hilltop in the center of the property, offers panoramic views of the surrounding terrain. The property also features fencing in excellent condition as well as, cross-fencing and a 1.5-acre pond for fishing and dove hunting potential. Another small seasonal pond waters livestock and wildlife. Electricity and an electric domestic water well are located near the house. A portion of the mineral rights are negotiable, for a further investment in a multi-use property. Water:The ranch has one pond covering approximately 1.5 acres, and one domestic water well located near the house. Wildlife:The ranch is primarily open pastureland. Native wildlife on the property includes dove, quail, and the occasional whitetail deer. Improvements:An old ranch house with electricity and a water well sits atop a hill in the center of the acreage. The property also features improved pastures, excellent fencing and cross-fencing, and good roads traversing the ranch. Minerals:Seller owns some minerals. Conveyance is subject to negotiation. Remarks:This Central Texas ranch is a perfect property for cattle, horses or other livestock and could certainly provide both sustainable and recreational activities for the new owners. Mouse over the images below to view larger. Links to download printable ranch information.